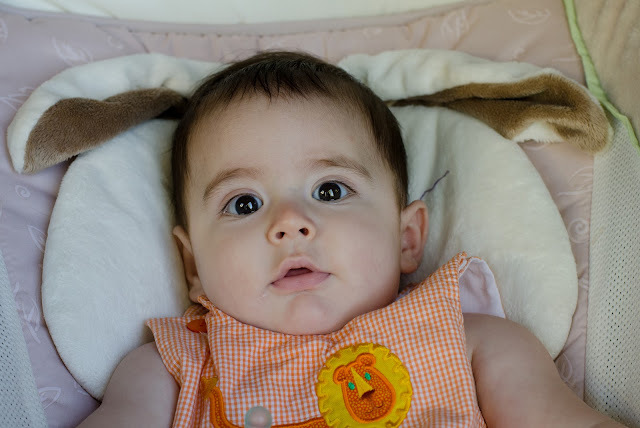 Will was officially diagnosed with bilateral Vesicoureteral Reflux (VUR) last week. After his UTI several weeks ago, his amazing pediatrician ordered a VCUG and renal ultrasound to see if the infection was caused by an underlying issue. And it was. The picture above shows the anatomy of the kidneys/ ureters/ bladder. In a normal person, things flow downward out of the kidneys via the ureters into the bladder and are then expelled from the body. In an individual with VUR, urine is able to "reflux" out of the bladder and up into the ureters. Depending on the grade of VUR, it can flow all the way back up into the kidneys. People with VUR have an extremely high chance of contracting UTIs due to the urine transporting bacteria into the ureters while is flushes back up. Will's VUR is bilateral (in both kidneys/ ureters) and primary (meaning he was born with it). His tests showed that he has grade 3 reflux in one kidney and grade 4 reflux in the other. The main concern with VUR is reoccurring UTIs as well as scarring/ damage to the kidneys. This alone is enough to warrant action but when you add in Will's other health issues, and the fact that he will be receiving intense chemotherapy (that is notoriously harsh on the kidneys) in 5-6 months , his urologist is being rather cautious! We met with a urologist Monday and have started Will on prophylactic antibiotics. The go to antibiotic for VUR is bactrim but of course nothing is ever "easy" or "normal" for us and Will cannot be on on that medication as it tends to lower blood counts. We don't need to give anything that could possible decrease his already low counts! So he is on the second best antibiotic for this issue. Our hope is that this antibiotic will hinder subsequent UTIs. A DMSA kidney scan has also been schedule for early November and will let us know if any scarring is present and how the kidneys are functioning. Best case scenario is that this will serve as a a baseline, show that no damage has occurred, and two properly functioning kidneys. Worst case is that damage and/or loss of function will be identified and will need to be surgically corrected. We will also talk surgery if he has breakthrough UTIs despite the continuous antibiotic. The fact that something else is wrong worries me. The fact that it is related to his kidneys, which will be stressed during chemo, majorly freaks me out. I am pretty terrified that one of two things will happen - 1) he will go into chemo/ transplant with kidney damage and will not be able to handle the harsh chemicals found in the chemo or 2) chemo will cause damage which will cause more infections which is obviously not a good thing when dealing with a baby that has zero immune system post BMT. Alex tells me I am borrowing unnecessary stress as we have no clue what the DMSA will show or how Will (and his kidneys) will deal with chemo but I can't help but worry about these things. I have seen kids suffer kidney damage from chemo. I have watched a young boy struggle with daily dialysis due to side effects of chemo/ bone marrow transplant. I have witnessed sweet babies that I have read books to, hugged, and loved pass away due to kidney issues caused by transplant. Kate was in relatively good health when she started the BMT process. I wish I could say the same thing for Will but, at 5 months, he is already much more sickly that Kate ever was. If it isn't high fever from a UTI, it's an ear infection. If it isn't an ear infection, it's a virus. If it isn't a virus, it's another ear infection. If it isn't the second ear infection in two weeks, it's a sinus infection. He has literally been battling something since his first fever from the UTI. I'm trying very hard to cling to the Word and pray for peace but, I have days where all I want to do is scream. My heart hurts so badly as I watch my happy go lucky boy have miserable days where he only wants to be held and can't get comfortable. He has so much pain and struggle ahead of him. Why does he have to be struggling now? Obviously no one can answer those questions but, that's where my mind is. We'd appreciate prayer for Will and this latest setback as we navigate yet another diagnosis. Lindsay, I am so very sorry to read about this diagnosis. I will be keeping you all in my prayers and hope that sweet Will's tests show the best case scenario. Love and hugs and prayers. And probably swearing because well, that's how I roll.... You have lots of support all over the place, I hope that helps you to find comfort. so sorry to read about this, new follower and will be praying for him as well. This is so heartbreaking. I am keeping you and Will in my prayers. Oh Linds, I am praying hard for peace and strength for you and comfort for sweet little Will. Oh Lindsey, I am just reading this and my heart is just aching for you and that sweet, precious boy. I cannot imagine all you and Alex are dealing with, and although you dont want to borrow unnecessary worry like Alex said, I completely understand that your mind goes 'there', especially when you have seen it through Kate and so many others you have come to know. I know I do it when it comes to pregnancy because of meeting so many who have lost their babies. Im not comparing and saying I understand your pain/situation at all, just know that I am fervently praying for Will. And you, Alex and Kate as well. You are thought of and prayed for so often. Lots of prayers from Wisconsin!! Definitely praying for you and your sweet boy! I had a similar problem except they didn't catch it until I was 8 and they found out I had high blood pressure. The high BP was a result of this kidney failure that they didn't catch. I had surgery when I was 8 to correct the reflux causing the UTI's and that helped but I am still left with high BP for the rest of my life (controlled w/ meds). I know my parents carry around major guilt because I was an extremely colicky baby and now they know it was because I was suffering kidney/bladder infections that they didn't catch. Hang in there and know that you have so many people praying and thinking about sweet Will. God will wrap His arms around you entire family and He will guide you in the right direction. You are so strong as a mother and I am sure Will appreciates it. Hang in there, Lindsey! I'm SO sorry! My heart breaks for all of y'all. I can't even begin to image how hard it is to watch your baby(ies) suffer! :( My heart breaks over all of this and I can tell you that I will continue to keep y'all in my prayers! oh linds.. my heart breaks for you that you are going through this. but i know, that you are strong enough to handle this. you are those kids' mother for a reason. because you are the best person on this planet for them. i'll be praying for will and for strength for you. precious Lindsey. precious Will. I am PRAYING for your sweet family. praying that God will heal your sweet boy and he will enjoy a full life of health, joy, and blessings. I usually lurk, but wanted to chime in. My son has reflux in one kidney (between stage III and IV) we were told. He had hydronephrosis since very early in utero, so we were always freaked out. The scan showed great function even in that kidney. I know Will's situation is more complicated, but I just wanted to give you a bit of hope that grade of reflux does not mean anything in terms of kidney function. He is on Septra now, and doing great (no UTIs, knock on wood). If you have anymore questions about it or the scan, let me know, I'll be happy to share my experience.All the best to you and Will. So sorry to hear this Lindsey and I'll be praying that test goes well in November. 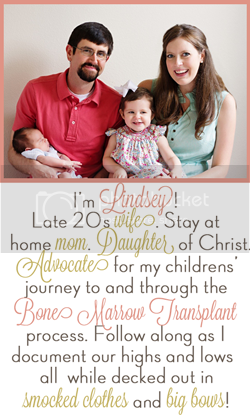 I'm so sorry to hear this Lindsey and I'll be praying the test goes well in November.